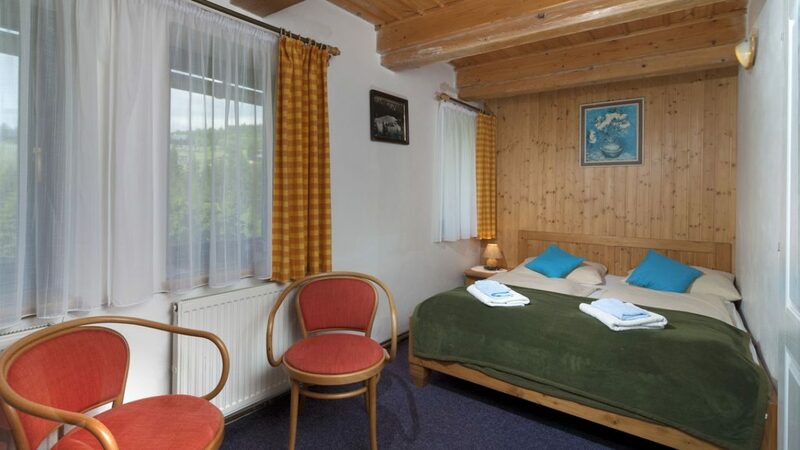 North and west rooms with views of the beautiful meadow, the valley or the STOH ski slope. Double or Twin Rooms with Private Bathroom / WC / Shower / Hair Dryer, built-in refrigerator with LCD TV and free WIFI connection. 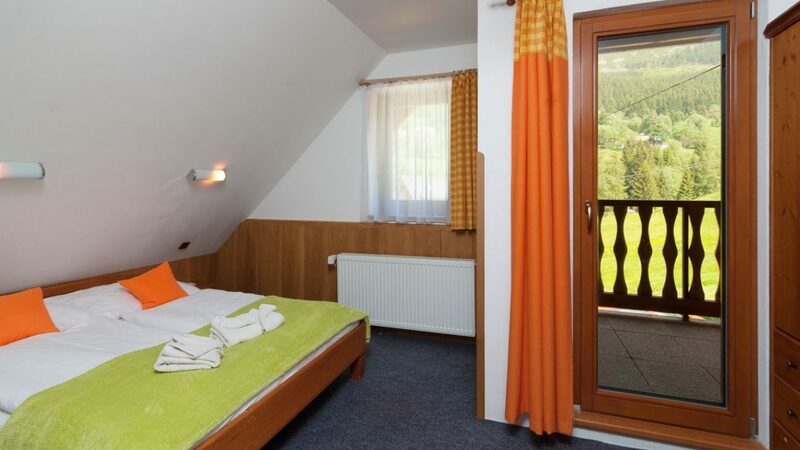 Room with almond, with double bed, natur wood with an extra bed for children under 12 years. Ground floor on the west side overlooking the summer pool and the St. Peter’s Valley. Room facilities with original old almond linens, like desk and commode, built-in refrigerator, large 82 cm TV-LCD, bathroom with toilet, hairdryer and built-in safe. The size of the room including the sanitary facility is 28 m2. 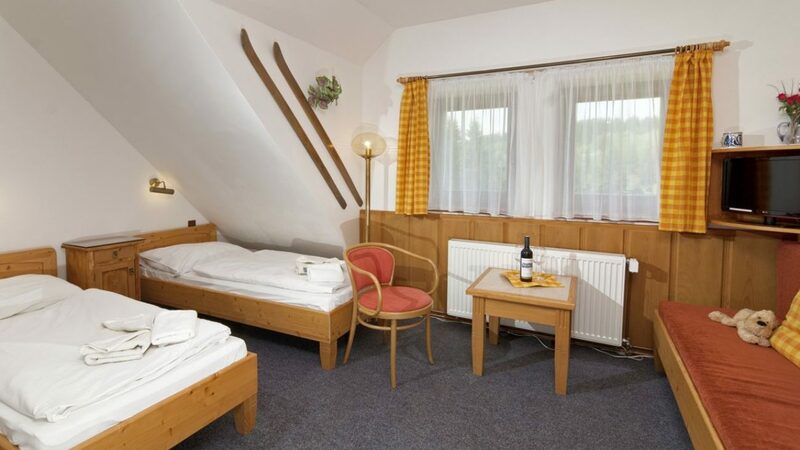 A large room overlooking the St. Peter’s Valley and the rope park is ideal for a 4-member family or even friends. 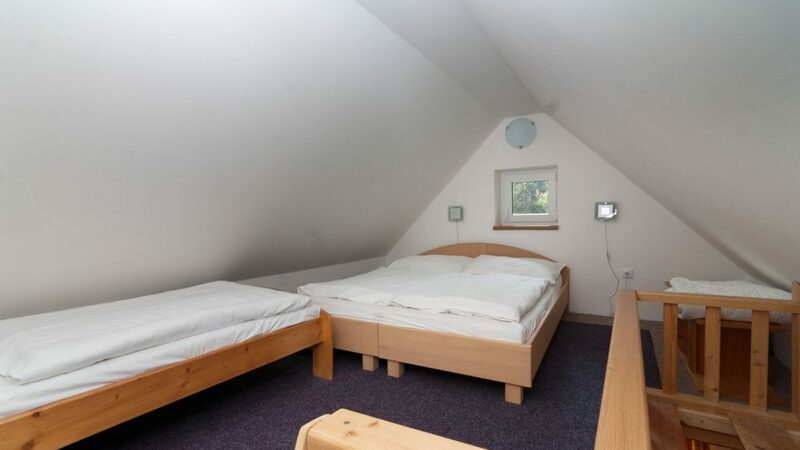 There is a double bed and 2 single beds. 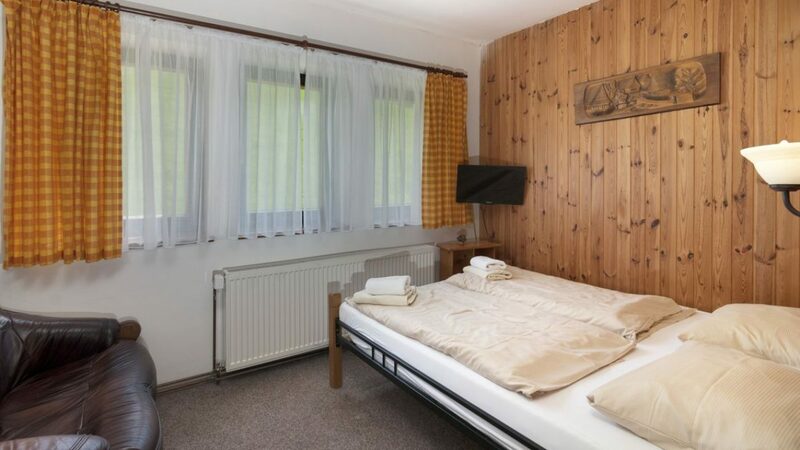 The room has an LCD TV, WI-FI connection and a separate bathroom with a newly refurbished bathroom and a shower. A built-in fridge is available in the lobby. 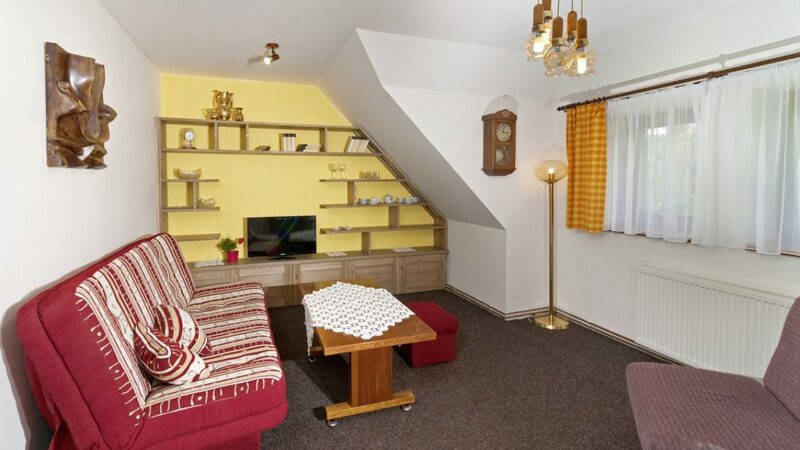 Ideal family room with two bedrooms for parents – double beds and for children – single beds. Possibility of the fifth extra bed for the child as a built-in sofa. The room has a splendid view of Goat Ridge and the Iron Mountain from a separate balcony. There is a small kitchenette with a tea-kettle and a coffeem with built-in fridge. 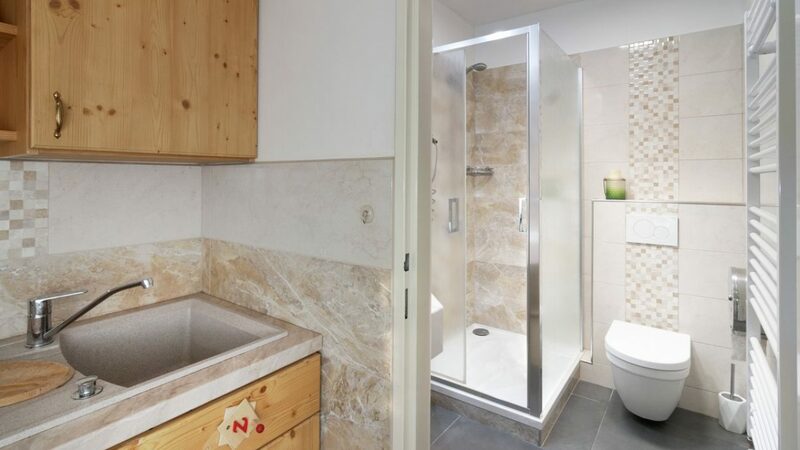 Modern, stylish marble bathroom with a large shower and a hairdryer. Family room with a total size of 55 m2 and a separate balcony. The apartment is fully equipped with a kitchen – microwave, freezer, refrigerator, stove, electric oven and dishwasher … .. / cleaning products can be bought at the overhead price / The apartment has a beautiful view of the St. Peter’s valley and the summer pool. There is a separate bedroom with a double bed and a fixed extra bed and a sofa bed in the living room for a child under 12 years old. 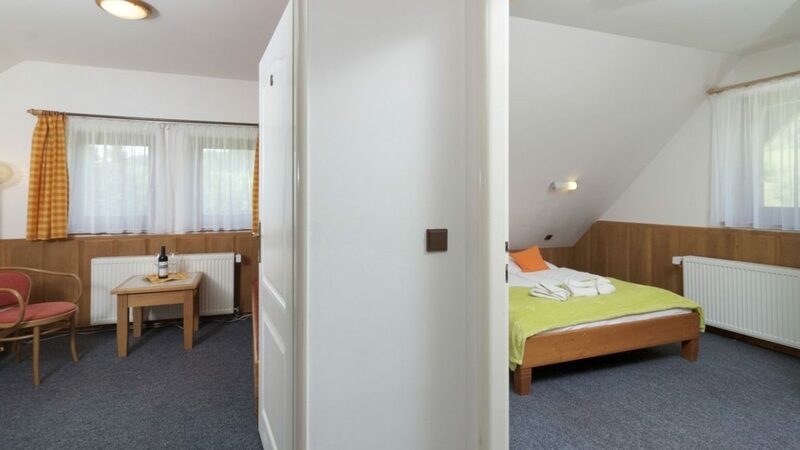 The bedroom has a built-in cloakroom. Apartment with living room, TV set, Sat and WiFI free of charge, bedroom and family bathroom with 2 sinks totaling 62 m2. The apartment is ideal for a 4-member family. Duplex apartment with a separate entrance and a small terrace. 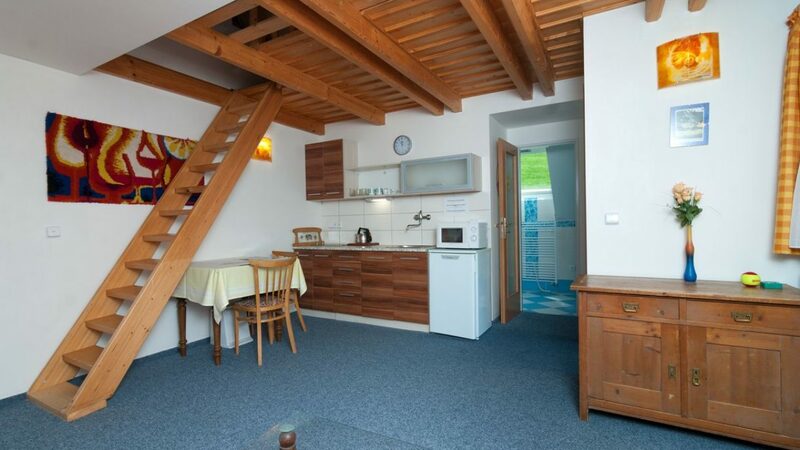 The apartment has a fully equipped kitchen on the ground floor with a microwave, refrigerator and glass ceramic plate. 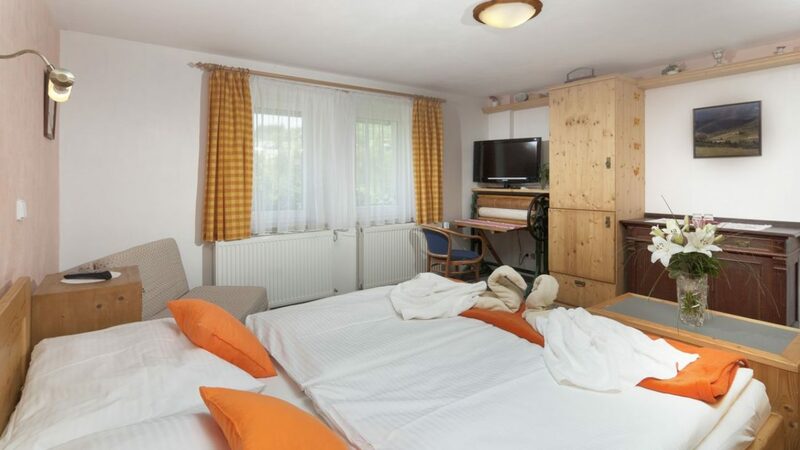 There is also a comfortable sofa bed with a 52 cm LCD TV and WIFI internet access. 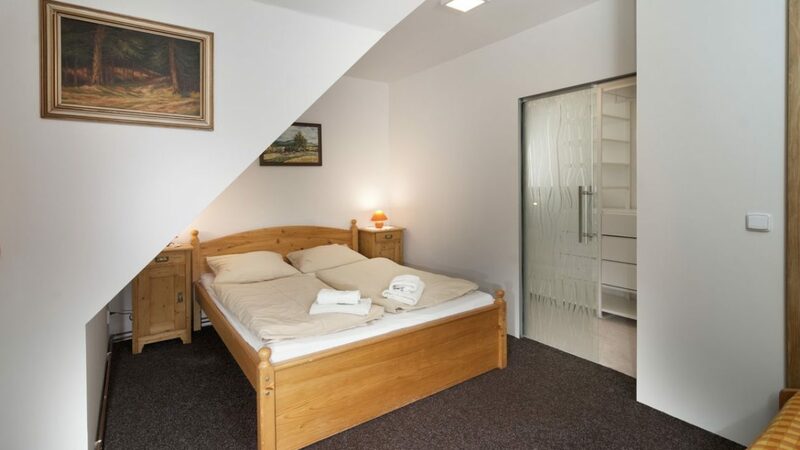 There are 3 fixed beds in the duplex with the possibility of a double bed or separately. 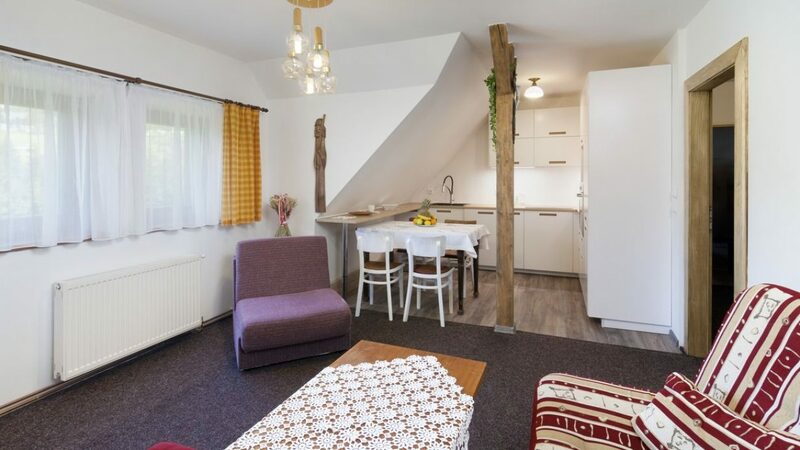 The Maisonette Apartment is ideal for a 4-member family or a married couple.